(a) Connect the intelligent tester to the DLC3. (d) Select the following menu items DIAGNOSIS ENHANCED OBD II DTC INFO CURRENT CODES. (e) Read DTCs. P0300, P0301, P0302, P0303 and or P0304 and other DTCs If any DTCs other than P0300, P0301, P0302, P0303 and P0304 are output, troubleshoot those DTCs first. Connect the TOYOTA hand-held tester to the DLC3. b. Turn the ignition switch ON and push the TOYOTA hand-held tester main switch ON. c. Select the ACTIVE TEST mode on the TOYOTA hand-held tester. Check that ON and OFF of the VSC TRAC warning light can be shown on the combination meter with the TOYOTA hand-held tester. Hook up the intelligent tester to the DLC3. c. Operate the intelligent tester to erase the codes. Please refer to the intelligent tester operator's manual for further Intelligent r details. Fig. 23 Connecting Intelligent Tester To DLC3 Courtesy of TOYOTA MOTOR SALES, U.S.A., INC. Fig. 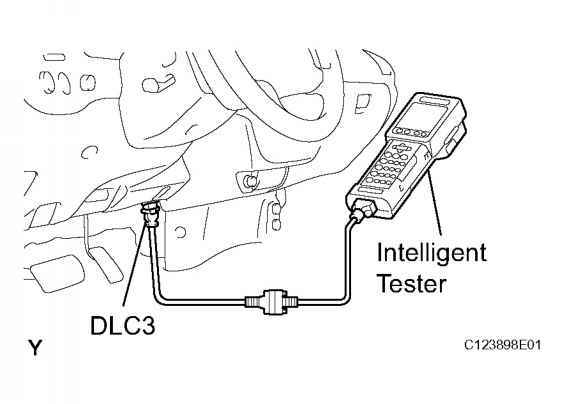 23 Connecting Intelligent Tester To DLC3 Courtesy of TOYOTA MOTOR SALES, U.S.A., INC. The circuit is used to send TRAC and VSC control information from the skid control ECU to the ECM, and engine control information from the ECM to the skid control ECU via the CAN communication system. This DTC is output when communication between the translate ECU and the skid control ECU is cut off. ENG+, ENG- circuit (CAN communication system) Fig. 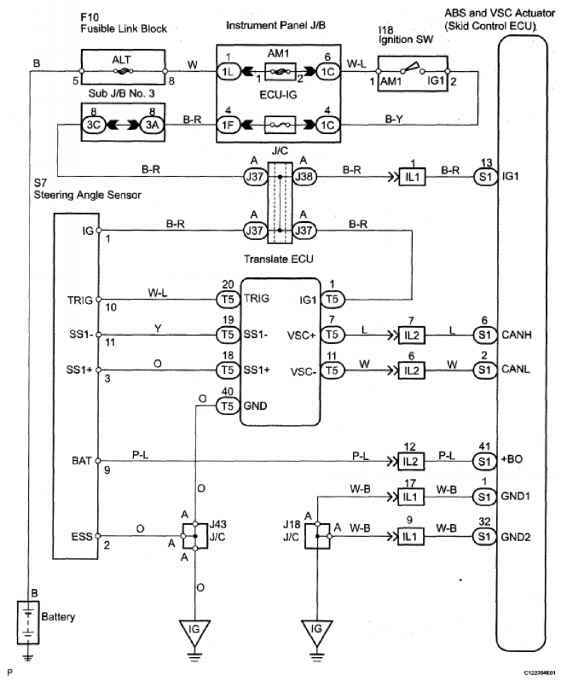 29 Vehicle CAN Communication Malfunction Wiring Diagram Courtesy of TOYOTA MOTOR SALES, U.S.A., INC. Fig. 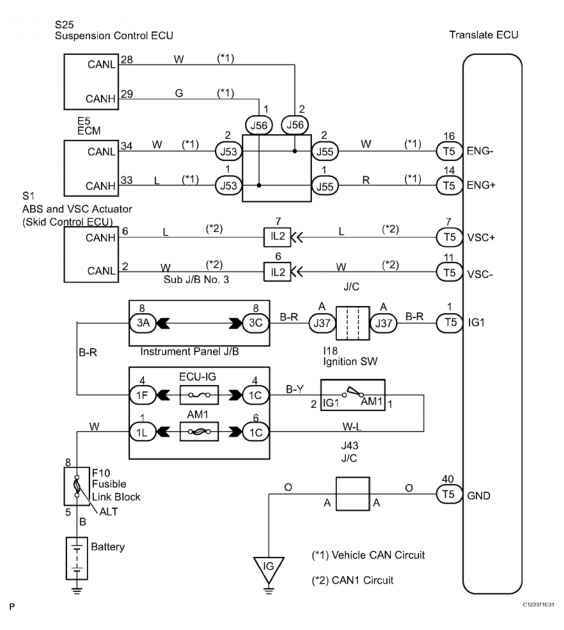 29 Vehicle CAN Communication Malfunction Wiring Diagram Courtesy of TOYOTA MOTOR SALES, U.S.A., INC.
Connect the intelligent tester to the DLC3. d. Enter the following menus DIAGNOSIS ENHANCED OBD II DTC INFO CLEAR CODES. DLC3 CAN VIM Fig. 29 Connecting Cable Of Intelligent Tester To DLC3 DLC3 CAN VIM Fig. 29 Connecting Cable Of Intelligent Tester To DLC3 3. CLEAR DTC (Without using the Intelligent tester) Intelligent tester only NOTE All the stored DTCs and freeze frame data are erased if 1) the ECM is changed from normal mode to check mode or vice versa or 2) the ignition switch is turned from ON to ACC or OFF while in check mode. Before changing modes, always check and make a note of any DTCs and freeze frame data. 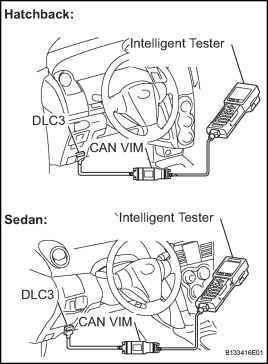 (a) Connect the OBD II scan tool or intelligent tester together with the CAN VIM (controller area network vehicle interface module) to the DLC3. 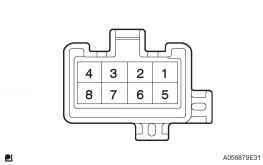 (b) Turn the ignition switch on (IG) and turn the OBD II scan tool or the intelligent tester main switch ON. (c) When you use intelligent tester Select the item DIAGNOSIS ENHANCED OBD II DTC INFO CURRENT CODES. (d) Read the DTCs using the OBD II scan tool or the intelligent tester. P0746 and other DTCs If any other codes besides P0746 are output, perform the troubleshooting for those DTCs first. Connect the intelligent tester to the DLC3. Refer to the intelligent tester operator's manual for further details. DLC3 Fig. 20 Connecting Intelligent Tester To DLC3 Courtesy of TOYOTA MOTOR SALES, U.S.A., INC. a. Using SST, connect terminals TC and CG of the DLC3. Fig. 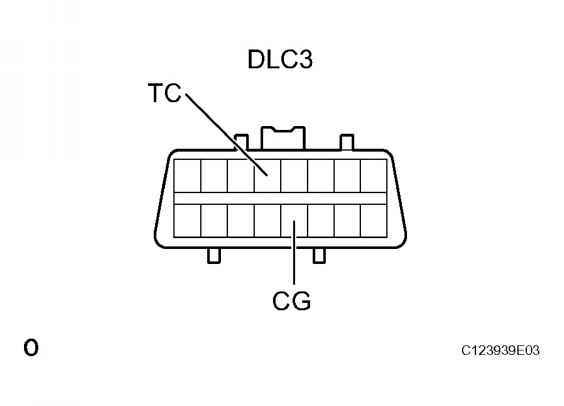 21 Identifying DLC3 Terminal Connector Courtesy of TOYOTA MOTOR SALES, U.S.A., INC. Fig. 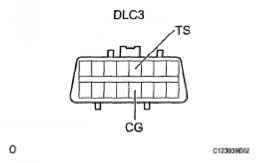 21 Identifying DLC3 Terminal Connector Courtesy of TOYOTA MOTOR SALES, U.S.A., INC. e. Remove the SST from the terminals of the DLC3. (a) CAN communication lines are used to receive information from the skid control ECU (ABS ECU) and the ECM, and to transmit warnings to the combination meter. When there are any problems in the CAN communication lines, DTCs of the CAN communication line are output. (b) Perform troubleshooting of the communication line problems when the CAN communication DTCs are output. 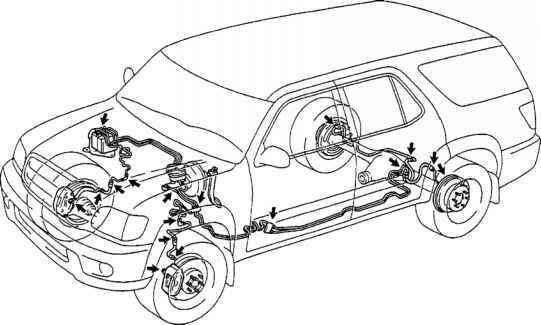 Be sure to start troubleshooting on the electronic power steering system after confirming that the CAN communication system is normal. (c) Since the CAN communication line has its own length and route, it cannot be repaired temporarily with the bypass wire, etc. Connect the intelligent tester to the DLC3. Turn the ignition switch ON and turn the tester ON. Select the following menu items DIAGNOSIS ENHANCED OBD II DATA LIST PRIMARY STARTER SIG. READ VALUE USING INTELLIGENT TESTER (STARTER SIGNAL) Connect the intelligent tester to the DLC3. Turn the ignition switch ON and turn the tester ON. Select the following menu items DIAGNOSIS ENHANCED OBD II DATA LIST PRIMARY STARTER SIG. (a) Check for the output DTC relating to the CAN communication system. 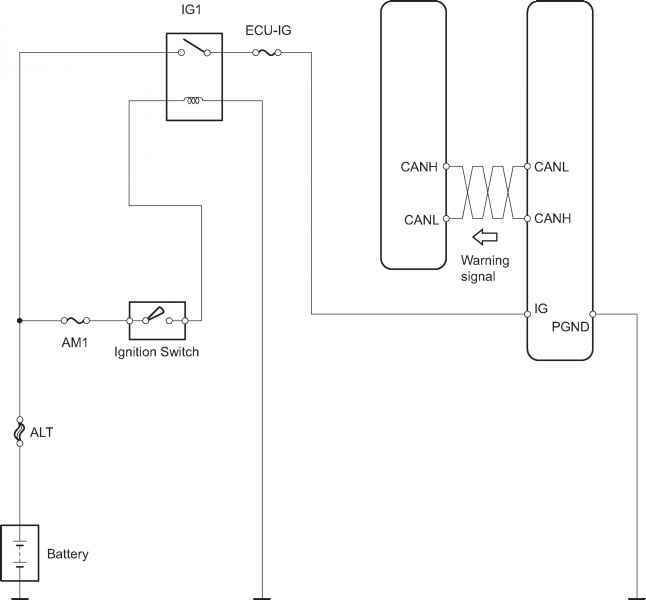 HINT The ECU of this system is connected to the CAN communication system. Therefore, before starting troubleshooting, be sure to check that there is no trouble in the CAN communication system. CAN communication system DTC not output CAN communication system DTC output CAN COMMUNICATION SYSTEM CAN COMMUNICATION SYSTEM DTC CHECK* When 2 or more DTCs are detected, perform circuit inspections one by one until the problem is identified. 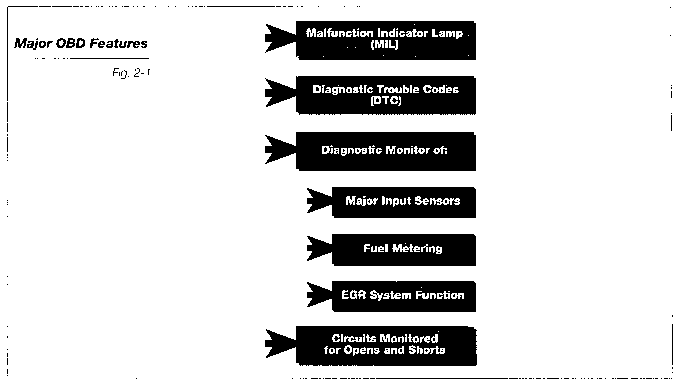 Diagnostic Trouble Codes can be displayed using the Diagnostic Tester or by grounding the TE1 circuit and counting the Malfunction Indicator Lamp (MIL) flashes. The scan tool reads codes by counting the low voltage pulses on the W terminal of the Diagnostic Link Connector (DLC). Therefore, code retrieval is a relatively slow process, especially when multiple codes are stored. Diagnostic Trouble Codes can be displayed using the Diagnostic Tester or by grounding the TE1 circuit and counting the Malfunction Indicator Lamp (MIL) flashes. The scan tool reads codes by counting the low voltage pulses on the W terminal of the Diagnostic Link Connector (DLC). Therefore, code retrieval is a relatively slow process, especially when multiple codes are stored. (a) Connect the intelligent tester to the DLC3. 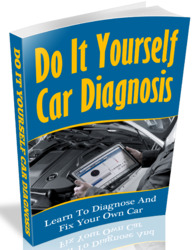 (d) Select the following the menu items DIAGNOSIS ENHANCED OBD II DTC INFO CURRENT CODES. (e) Read the DTCs. P050A and or P050B and other DTCs If any DTCs other than P050A and P050B are output, troubleshoot those DTCs first. Connect the TOYOTA hand-held tester to the DLC3. b. Turn the ignition switch ON and push the TOYOTA hand-held tester main switch ON. c. Select the ACTIVE TEST mode on the TOYOTA hand-held tester. Check that ON and OFF of the SLIP indicator light can be shown on the combination meter with the TOYOTA hand-held tester. (a) Connect the intelligent tester to the DLC3. (c) Select the following menu items DIAGNOSIS ENHANCED OBD II DTC INFO CURRENT CODES. (d) Read DTCs. P0420 and other DTCs If any DTCs other than P0420 are output, troubleshoot those DTCs first. PERFORM ACTIVE TEST USING INTELLIGENT TESTER (A F CONTROL) Connect the intelligent tester to the DLC3. Start the engine and turn the tester ON. Warm up the engine at an engine speed of 2,500 rpm for approximately 90 seconds. On the tester, select the following menu items DIAGNOSIS ENHANCED OBD II ACTIVE TEST A F CONTROL. To display the graph, select the following menu items on the tester DIAGNOSIS ENHANCED OBD II ACTIVE TEST A F CONTROL USER DATA AFS B1 S1 and O2S B1 S2 then press the YES button and then the ENTER button followed by the F4 button. Under the provisions of OBD-II regulations, emissions related diagnostic and service information will be readily available to the service industry, from the vehicle manufacturer. 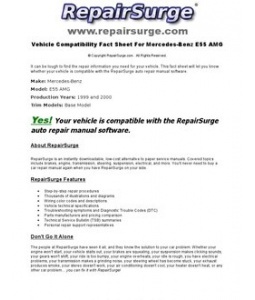 This information includes procedures and specifications necessary to diagnose the engine control system. Although enhanced diagnostics may be available using special equipment and procedures, at a minimum, repair procedures will be written using the generic scan tool and other commonly available test equipment like multimeters and oscilloscopes. In an effort to simplify diagnostics, OBD-II requires that all manufacturers standardize DTCs on OBD-II equipped vehicles. Eventually, all emissions related service information will be standardized in format and available through an electronic media. (a) Connect an intelligent tester to the DLC3. (d) Select the following menu items DIAGNOSIS ENHANCED OBD II DTC INFO CURRENT CODES. (e) Read DTCs. 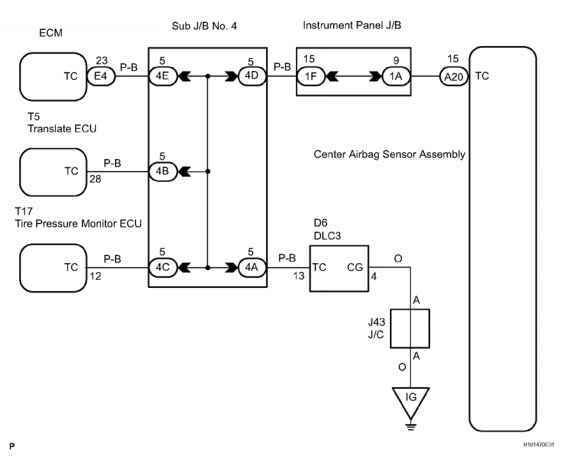 P2195 or P2196 and other DTCs If any DTCs relating to the A F sensor (DTCs for the A F sensor heater or A F sensor admittance) are output, troubleshoot those DTCs first. (a) Connect the intelligent tester to the DLC3. (d) Select the following menu items DIAGNOSIS ENHANCED OBD II DTC INFO CURRENT CODES. (e) Read DTCs. 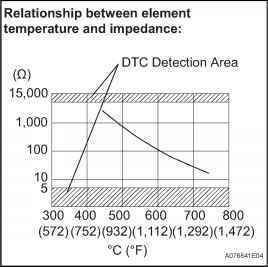 P2A00 and other DTCs If any DTCs relating to the A F sensor (DTCs for the A F sensor heater or A F sensor admittance) are output, troubleshoot those DTCs first. (a) Connect an intelligent tester to the DLC3. (d) Select the following menu items DIAGNOSIS ENHANCED OBD II DTC INFO CURRENT CODES. (e) Read DTCs. P2195, P2196, P2197 or P2198 and other DTCs If any DTCs other than P2195, P2196, P2197 or P2198 are output, troubleshoot those DTCs first. (a) Connect an intelligent tester to the DLC3. (c) Select the following menu items DIAGNOSIS ENHANCED OBD II DTC INFO CURRENT CODES. (d) Read DTCs. P0171, P0172, P0174 or P0175 and other DTCs If any DTCs other than P0171, P0172, P0174 or P0175 are output, troubleshoot those DTCs first. (a) Connect an intelligent tester to the DLC3. (d) Select the following menu items DIAGNOSIS ENHANCED OBD II DTC INFO CURRENT CODES. (e) Read DTCs. P2A00 and or P2A03 and other DTCs If any DTCs other than P2A00 or P2A03 are output, troubleshoot those DTCs first. (a) Connect an intelligent tester to the DLC3. (c) Select the following menu items DIAGNOSIS ENHANCED OBD II DTC INFO CURRENT CODES. (d) Read DTCs. (a) Connect an intelligent tester to the DLC3. (c) Select the following menu items DIAGNOSIS ENHANCED OBD II DTC INFO CURRENT CODES. (d) Read DTCs. (a) Connect an intelligent tester to the DLC3. (c) Clear DTCs (See page ES-38). (e) Select the following menu items on the tester DIAGNOSIS ENHANCED OBD II MONITOR INFO MONITOR STATUS. (g) Select the following menu items DIAGNOSIS ENHANCED OBD II MONITOR INFO TEST RESULT RANGE B1S1, then press the ENTER button. Although OBD supplies valuable information about a number of critical emissions related systems and components, there are several important items which were not incorporated into the OBD standard due to technical limitations at the time that the system was phased into production (during the 1988 model year.) Since the introduction of OBD, several technical breakthroughs have occurred. For example, the technology to monitor engine misfire and catalyst efficiency has been developed and implemented on production vehicles. Fig. 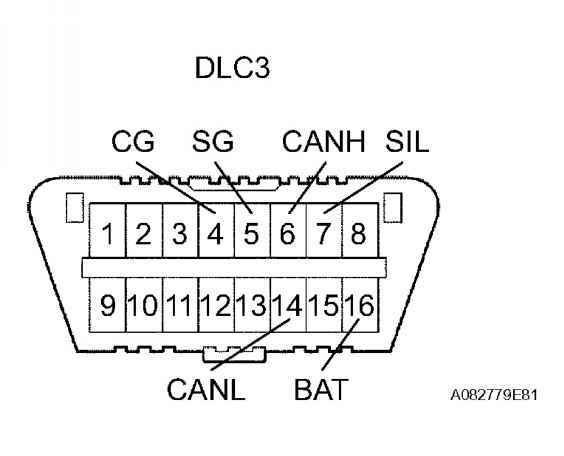 18 Identifying DLC3 Terminal Connector Courtesy of TOYOTA MOTOR SALES, U.S.A., INC. Fig. 18 Identifying DLC3 Terminal Connector Courtesy of TOYOTA MOTOR SALES, U.S.A., INC. If 2 or more trouble codes are identified at the same time, the codes will be displayed in ascending order. Checking DTCs using intelligent tester. 1. Connect the intelligent tester to the DLC3. Fig. 16 Connecting Intelligent Tester To DLC3 Courtesy of TOYOTA MOTOR SALES, U.S.A., INC. Fig. 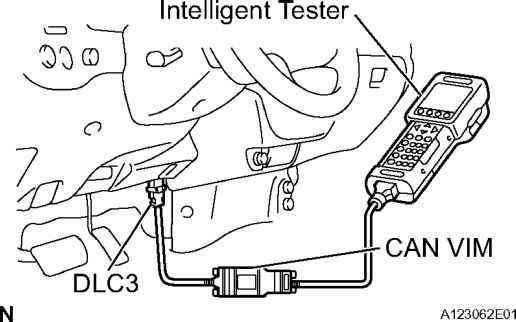 16 Connecting Intelligent Tester To DLC3 Courtesy of TOYOTA MOTOR SALES, U.S.A., INC. 3. Read DTCs by following the prompts on the tester screen. Refer to intelligent tester operator's manual for further details. 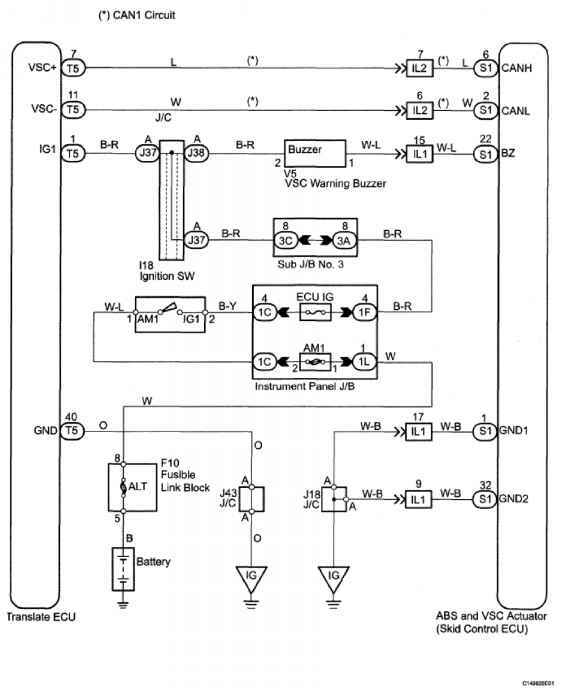 DTCs If any EVAP system DTCs are set, the malfunctioning area can be determined using the table below. DTCs If the 0.02 inch leak criterion difference between the first and second checks is greater than the specification, the DTCs corresponding to the leak criterion (P043E, P043F, P2401, P2402 and P2419) will be all stored. Read freeze frame data using the intelligent tester. Freeze frame data records the engine condition when malfunctions are detected. When troubleshooting, freeze frame data can help determine if the vehicle was moving or stationary, if the engine was warmed up or not, if the air-fuel ratio was lean or rich, and other data from the time the malfunction occurred. READ OUTPUT DTC (a) Connect the intelligent tester to the DLC3. (b) Turn the ignition switch ON and turn the intelligent tester ON. (c) Select the following menu items DIAGNOSIS ENHANCED OBD II DTC INFO CURRENT CODES. (d) Read DTCs. Result READ VALUE USING INTELLIGENT TESTER (INTAKE AIR TEMPERATURE) (a) Connect the intelligent tester to the DLC3. Connect the intelligent tester to the CAN VIM. Then connect the CAN VIM to the DLC3. 5. Turn the intelligent tester ON. 6. Enter the following menus DIAGNOSIS ENHANCED OBD II DATA LIST. When shift lever position displayed on intelligent tester differs from actual position, adjustment of PNP switch or shift cable may be incorrect. Connect the negative (-) terminal cable to the battery, and wait for at least 2 seconds. Turn the ignition switch to the ON position, and wait for at least 60 seconds. Clear the DTCs stored in memory (See DTC CHECK CLEAR ). Turn the ignition switch to the LOCK position. Turn the ignition switch to the ON position, and wait for at least 60 seconds. Check the DTCs (See DTC CHECK CLEAR ). 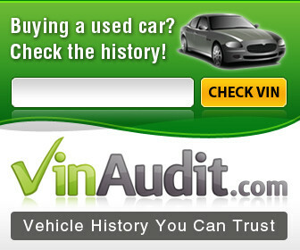 Inspect the vehicle's ECM using check mode. Intermittent problems are easier to detect with the intelligent tester when the ECM is in check mode. In check mode, the ECM uses 1 trip detection logic, which is more sensitive to malfunctions than normal mode (default), which uses 2 trip detection logic. 1. Clear the DTCs (See page ES-38). 2. 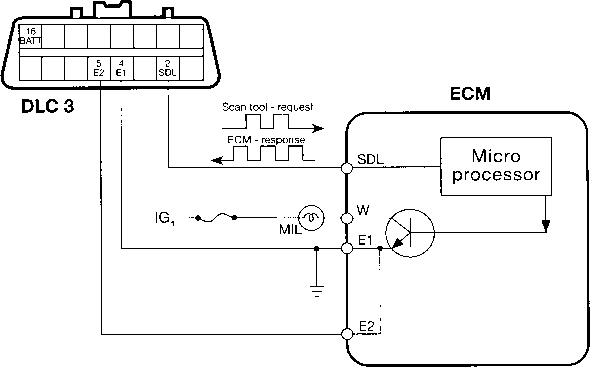 Switch the ECM from normal mode to check mode using the intelligent tester (See page ES-41). Read value of TOYOTA hand-held tester. PREPARATION a. Connect the TOYOTA hand-held tester to the DLC3. b. Turn the ignition switch ON and push the TOYOTA hand-held tester main SW ON. CHECK Select the item A C SIG in the DATA LIST and read its value displayed on the TOYOTA handheld tester. NG Replace magnetic clutch relay. OK Go to next step. 3. Read value of TOYOTA hand-held tester. a. Connect the TOYOTA hand-held tester to the DLC3. b. Turn the ignition switch ON and push the TOYOTA hand-held tester main SW ON. CHECK Select the item A C MAG CLUTCH in the DATA LIST and read its value displayed on the TOYOTA hand held tester. Connect the intelligent tester to the DLC3. d. Using the intelligent tester, perform Zero point calibration (See INITIALIZATION ). OK The COMPLETED is displayed. a. Using the intelligent tester, perform Sensitivity check (See INITIALIZATION ). When DTC B1650 32 is detected as a result of troubleshooting for the supplemental restraint system, check the DTCs stored in the occupant classification ECU. 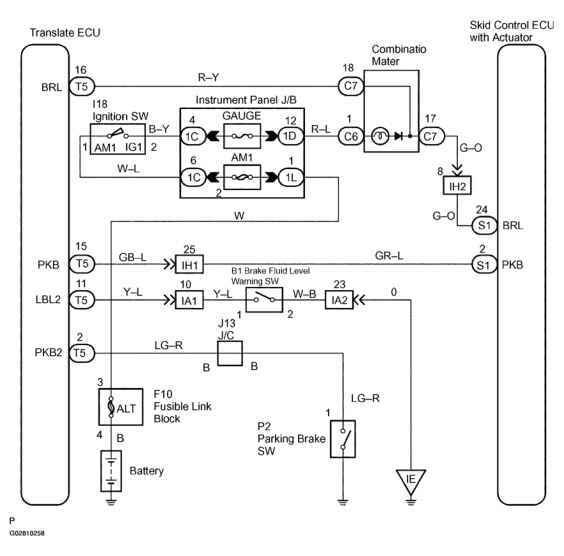 When DTC B1783 is output, perform troubleshooting for the DTC. (a) Inspection procedure when using the intelligent tester Connect the intelligent tester to the DLC3. Turn the ignition switch on (IG). Turn the tester on. Select the following menu items DIAGNOSIS ENHANCED OBD II ACTIVE TEST INTAKE CTL VSV1. Press the right or left button. Make sure that a clicking sound is heard from the intake air control valve when current flows. 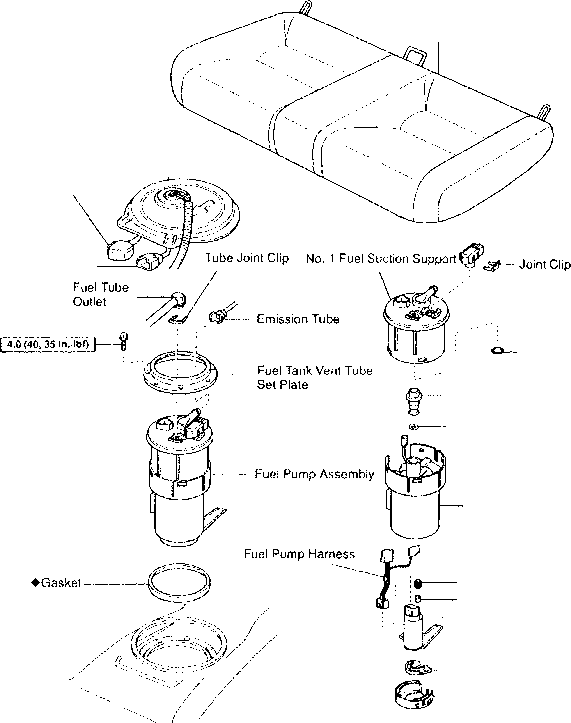 If the result is not as specified, replace the intake air surge tank. (a) The ECU uses ISO 15765-4 for communication. The terminal arrangement of the DLC3 complies with SAE J1962 and matches the ISO 15765-4 format. CAN bus line HIGH-level CAN bus line LOW-level CAN bus line HIGH-level CAN bus line LOW-level CAN bus line '( Intelligent Tester '( Intelligent Tester DLC3 DLC3 Intelligent Tester Intelligent Tester DLC3 DLC3 If the result is not as specified, the DLC3 may have a malfunction. Repair or replace the harness and connector. 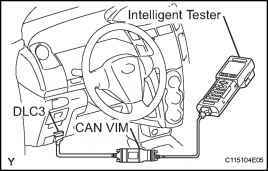 Connect the cable of the intelligent tester to the CAN VIM, connect the CAN VIM to the DLC3, turn the ignition switch ON and attempt to use the tester. If the display indicates that a communication error has occurred, there is a problem either with the vehicle or with the tester. If communication is normal when the tester is connected to another vehicle, inspect the DLC3 of the original vehicle. Connect the intelligent tester to the DLC3. The result appears on the tester after some delay because a time lag occurs in measurement with a intelligent tester. e. Check that the brake pedal acceleration value of the delta S sensor displayed on the intelligent tester changes, alternatively increasing the brake pedal stroke. Fig. 62 Checking That Brake Pedal Acceleration Value Of Delta S Sensor Displayed On Intelligent Tester Changes, Alternatively Increasing Brake Pedal Stroke Courtesy of TOYOTA MOTOR SALES, U.S.A., INC. Fig. 62 Checking That Brake Pedal Acceleration Value Of Delta S Sensor Displayed On Intelligent Tester Changes, Alternatively Increasing Brake Pedal Stroke Courtesy of TOYOTA MOTOR SALES, U.S.A., INC.
SST 09843-18040 b. 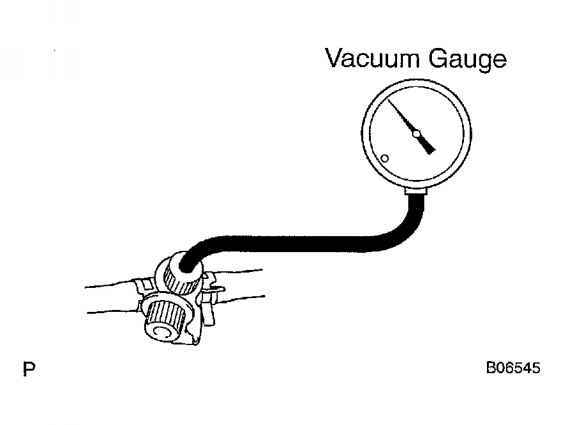 Inspect engine idle speed (When using a intelligent tester). 1. Connect a intelligent tester to the Controller Area Network Vehicle Interface Module (CAN VIM). Then connect the CAN VIM to the Date Link Connector 3 (DLC3). 2. Please refer to the intelligent tester operator's manual for further details. 5. Disconnect the intelligent tester and CAN VIM from the DLC3. Fig. 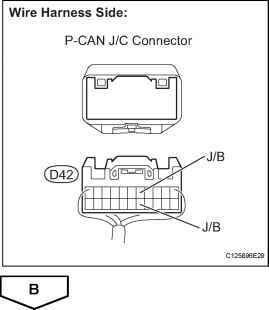 5 Connecting CAN VIM To Date Link Connector 3 Courtesy of TOYOTA MOTOR SALES, U.S.A., INC. Fig. 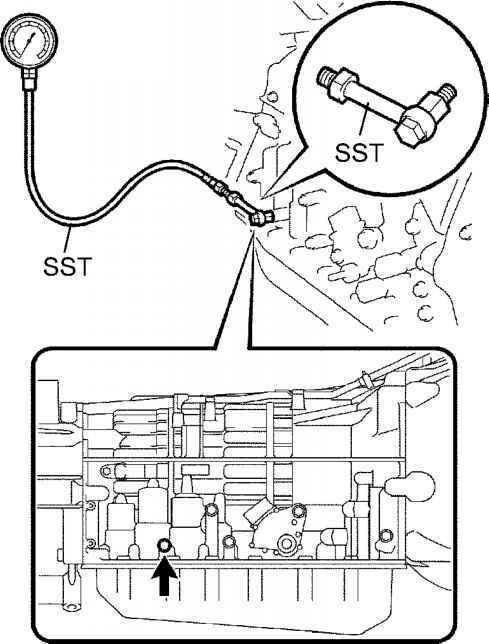 5 Connecting CAN VIM To Date Link Connector 3 Courtesy of TOYOTA MOTOR SALES, U.S.A., INC. c. Inspect engine idle speed (When not using a intelligent tester). 1. Using SST, connect the tachometer probe to terminal TAC of the DLC3. 4. Disconnect the tachometer from the DLC3. Fig. 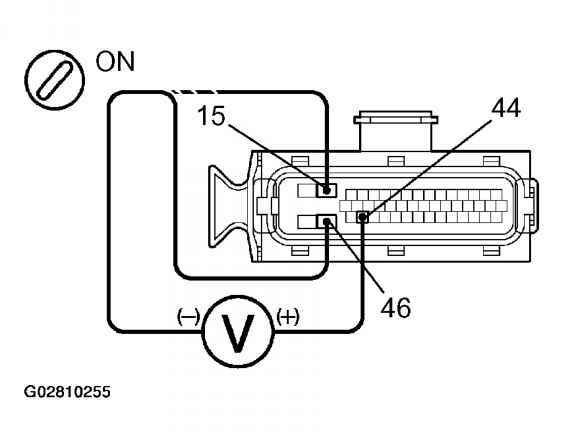 6 Connecting Tachometer Probe To Terminal TAC Of DLC3 Courtesy of TOYOTA MOTOR SALES, U.S.A., INC. Fig. 6 Connecting Tachometer Probe To Terminal TAC Of DLC3 Courtesy of TOYOTA MOTOR SALES, U.S.A., INC. 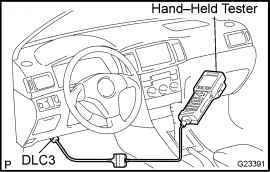 In case of using TOYOTA hand-held tester Clear the DTC. 1. Hook up the TOYOTA hand-held tester to the DLC3. Fig. 11 Locating DLC3 Connector With Hand-Held Tester 3. Operate the TOYOTA hand-held tester to erase the codes. NOTE Please refer to the TOYOTA hand-held tester operator's manual for further details. 2. In case of not using TOYOTA hand-held tester SENSOR CHECK (TEST MODE) 3. Using SST, connect terminals Ts and CG of DLC3. Measure voltage between terminal TS and CG of DLC3. Fig. 118 Measuring Voltage B W TS & CG Terminal Of DLC3 Courtesy of TOYOTA MOTOR SALES, U.S.A., INC. Fig. 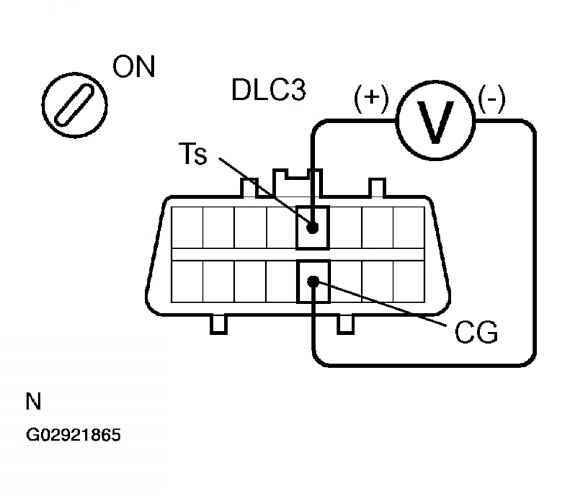 118 Measuring Voltage B W TS & CG Terminal Of DLC3 Courtesy of TOYOTA MOTOR SALES, U.S.A., INC. 2. Check for open and short circuit in harness and connector between skid control ECU and DLC3, DLC3 and the body ground (See HOW TO USE THE DIAGNOSTIC CHART AND INSPECTION PROCEDURE ). Connect the intelligent tester to the DLC3. c. Turn the ignition switch to the ON position and push the intelligent tester main switch ON. d. Select DATA LIST mode on the intelligent tester. 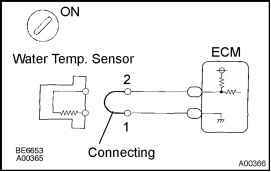 e. Check that the decelerate value of the deceleration sensor displayed on the intelligent tester changes Place the deceleration sensor vertically to the ground and turn the sensor to the front-ward and rearward. Reconnect air bag sensor assembly connectors. Reconnect negative battery cable. Turn ignition switch to ON position. Clear DTCs. See CLEARING CODES under DIAGNOSTICS. 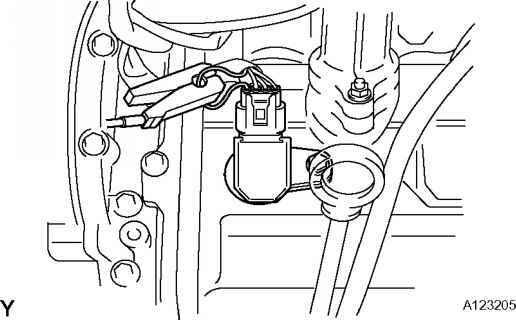 Turn ignition switch to LOCK position. Wait at least 20 seconds. Turn ignition switch to ON position. Wait at least 20 seconds. Retrieve DTCs. See RETRIEVING CODES under DIAGNOSTICS. If DTC 24-B1135 is displayed, go to next step. If DTC 24-B1135 is not displayed, system is functioning properly at this time. Check for intermittent fault. See AIR BAG WARNING LIGHT INTERMITTENT . DIAGNOSTIC TROUBLE CODE CHART There is a possibility that the intelligent tester cannot be used when the ABS warning light is always ON. 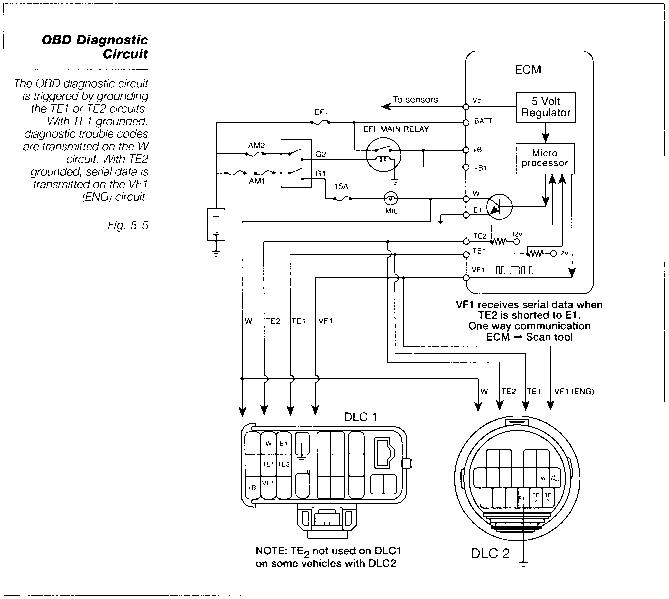 DTC chart of VSC system DIAGNOSTIC TROUBLE CODE CHART 5. CAN communication system There is a possibility that the intelligent tester cannot be used when the VSC TRAC warning light is always ON. Start the inspection from step 1 when using the intelligent tester and start from step 2 when not using the intelligent tester. a. Connect the intelligent tester to the DLC3. b. Turn the ignition switch to the ON position and push the intelligent tester main switch ON. d. Select DATA LIST mode on the intelligent tester. e. Check that the steering wheel turning angle value of the steering angle sensor displayed on the intelligent tester changes when turning the steering wheel. a. Check DTC (See DTC CHECK CLEAR ). Connect the intelligent tester to the DLC3. b. Turn the ignition switch to the ON position and push the intelligent tester main switch ON. c. Select ACTIVE TEST mode on the intelligent tester. d. Check that ON and OFF of the TRAC OFF indicator light can be shown on the combination meter with the intelligent tester. INSPECT CAN COMMUNICATION SYSTEM (a) Using the intelligent tester, check for DTCs and confirm that there are no problems in the CAN communication system. OK DTCs are not output. GO TO CAN COMMUNICATION SYSTEM (a) Connect the intelligent tester to the DLC3. (c) Select the item IG SUPPLY in the DATA LIST and read value displayed on the intelligent tester. When this DTC, or other DTCs relating to ETCS (Electronic Throttle Control System) malfunctions, are set, the ECM enters fail-safe mode. 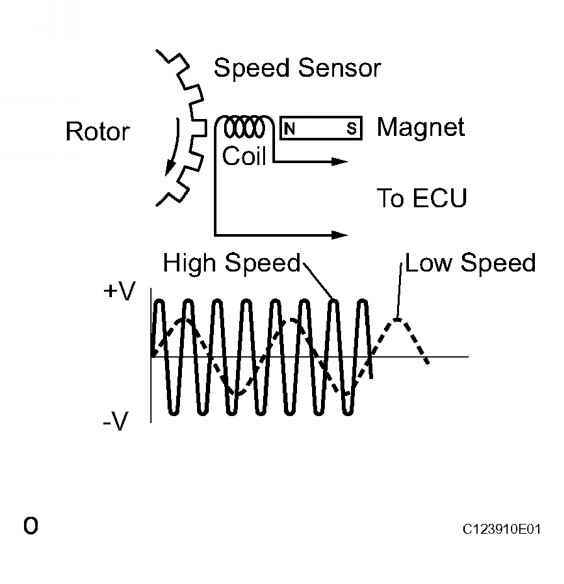 During fail-safe mode, the ECM cuts the current to the throttle actuator off, and the throttle valve is returned to a 6 throttle angle by the return spring. The ECM then adjusts the engine output by controlling the fuel injection (intermittent fuel-cut) and ignition timing, in accordance with the accelerator pedal opening angle, to allow the vehicle to continue at a minimal speed. 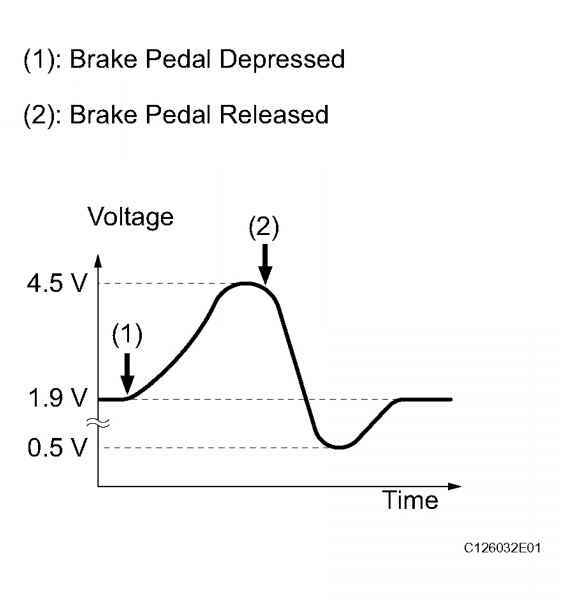 If the accelerator pedal is depressed gently, the vehicle can be driven slowly. Fail-safe mode continues until a pass condition is detected, and the ignition switch is then turned off. These DTCs indicate an open or short in the automatic transmission fluid (ATF) temperature sensor (TFT sensor) circuit. The automatic transmission fluid (ATF) temperature sensor converts ATF temperature to an electrical resistance value. Based on the resistance, the ECM determines the ATF temperature, and the ECM detects an opens or shorts in the ATF temperature circuit. If the resistance value of the ATF The ATF temperature can be checked on the OBD II scan tool or intelligent tester display. MONITOR STRATEGY Related DTCs The monitor will run whenever these DTCs are not present. 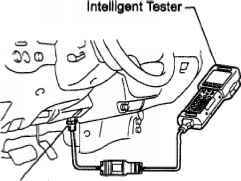 Inspect ignition timing (When using a intelligent tester). 1. Connect a intelligent tester to the Controller Area Network Vehicle Interface Module (CAN VIM). Then connect the CAN VIM to the Date Link Connector 3 (DLC3). 2. Please refer to the intelligent tester operator's manual for further details. 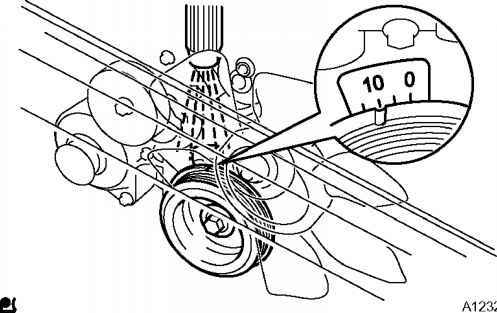 Ignition timing 5 to 15 BTDC at idle (Transmission in neutral) 3. Disconnect the intelligent tester and CAN VIM from the DLC3. 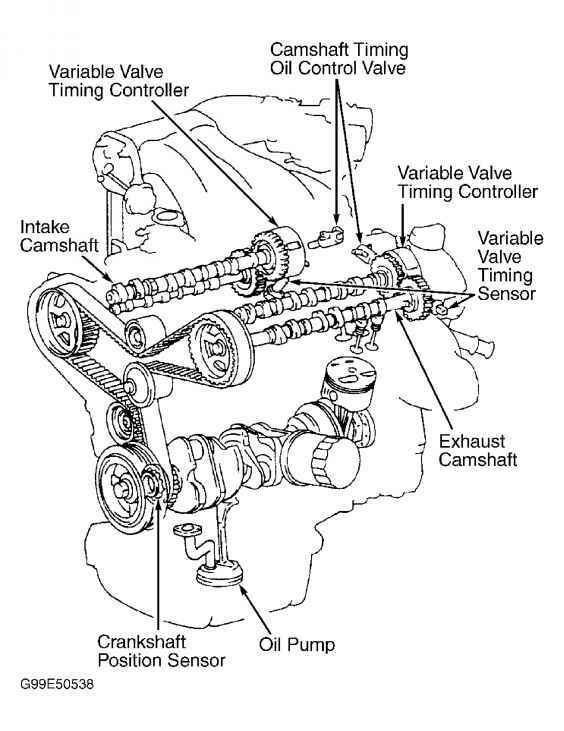 c. Inspect ignition timing (When not using a intelligent tester). 2. Using SST, connect terminals TC and CG of the DLC3. SST 09843-18040 Fig. 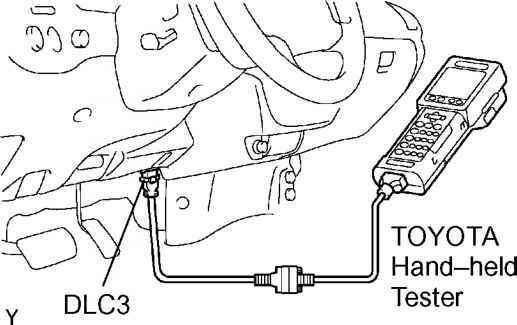 3 Connecting Terminals TC & CG Of DLC3 Courtesy of TOYOTA MOTOR SALES, U.S.A., INC. Fig. 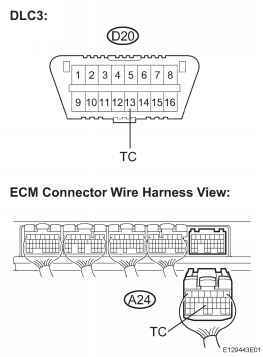 3 Connecting Terminals TC & CG Of DLC3 Courtesy of TOYOTA MOTOR SALES, U.S.A., INC. Performing the intelligent tester's ACTIVE TEST allows relay, VSV, actuator and other items to be operated without removing any parts. Performing the ACTIVE TEST early in troubleshooting is one way to save time. b. Connect the intelligent tester to the CAN VIM. Then connect the CAN VIM to the DLC3. e. Turn the intelligent tester ON. f. Enter the following menus DIAGNOSIS ENHANCED OBD II ACTIVE TEST. END SENSOR CHECK (USING INTELLIGENT TESTER) 4. READ SIGNAL CHECK FUNCTION DTCS (USING INTELLIGENT TESTER) See the list of DTCs (refer to step 9). (e) Using SST, connect terminals TS and CG of the DLC3. Do not drive the vehicle at a speed of 50 mph (80 km h) or more after the ABS warning light turns off, because test mode DTCs are set again when the vehicle speed exceeds 50 mph (80km h). 8. 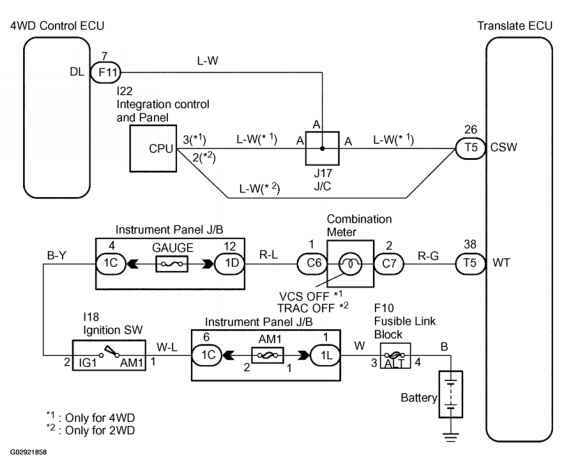 READ SIGNAL CHECK FUNCTION DTCS (USING SST CHECK WIRE) (a) Using SST, connect terminals TC and CG of the DLC3. See the list of DTCs (refer to step 9). With the intelligent tester connected to the DLC3 and the ignition switch on (IG), the ABS, TRAC and VSC data list can be displayed. Follow the prompts on the intelligent tester screen to access the DATA LIST. Performing the ACTIVE TEST using the intelligent tester allows the relay, actuator, etc. to operate without removing any parts. 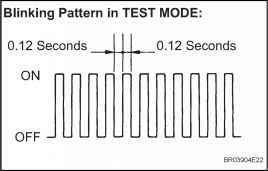 Performing the ACTIVE TEST as the first step of troubleshooting is one of the methods to shorten labor time. (a) Connect the intelligent tester to the DLC3. The ignition switch must be turned on (IG) to proceed to the ACTIVE TEST using the intelligent tester. Connect a intelligent tester to the Controller Area Network Vehicle Interface Module (CAN VIM). Then connect the CAN VIM to the Date Link Connector 3 (DLC3). Fig. 62 Connecting Intelligent Tester To Controller Area Network Vehicle Interface Module (CAN VIM) To Date Link Connector 3 (Dlc3) Courtesy of TOYOTA MOTOR SALES, U.S.A., INC. Fig. 62 Connecting Intelligent Tester To Controller Area Network Vehicle Interface Module (CAN VIM) To Date Link Connector 3 (Dlc3) Courtesy of TOYOTA MOTOR SALES, U.S.A., INC. The illustration may slightly differ from the display on the intelligent tester. 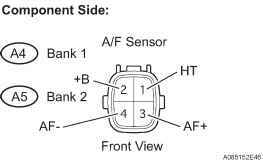 The waveform of the A F sensor is displayed only on the intelligent tester. DTC output mode is set by connecting terminals TC and CG of the DLC3. The DTCs are displayed by blinking of the SRS warning light. 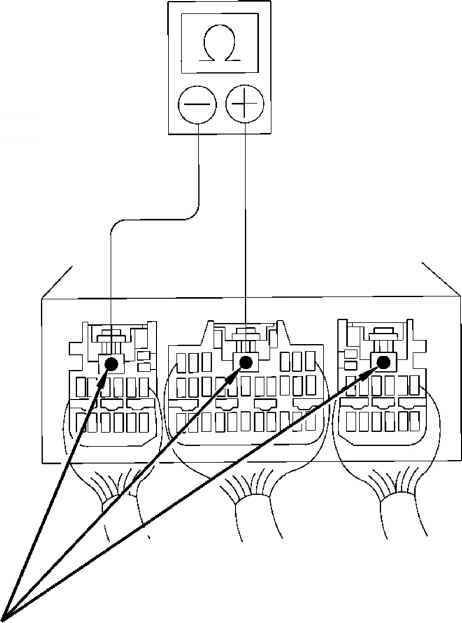 WIRING DIAGRAM When each warning light stays blinking, a ground short in the wiring of the terminal TC of the DLC3 or an internal ground short in each ECU is suspected. Performing the intelligent tester's ACTIVE TEST allows relay, VSV, actuator and other items to be operated without removing any parts. Performing the ACTIVE TEST early in troubleshooting is one way to save time. 3. Connect the intelligent tester to the CAN VIM. Then connect the CAN VIM to the DLC3. 5. Turn the intelligent tester ON. 6. Enter the following menus DIAGNOSIS ENHANCED OBD II ACTIVE TEST. While driving, the shift position can be forcibly changed with the intelligent tester. Comparing the shift position commanded by the ACTIVE TEST with the actual shift position enables you to confirm the problem (See DATA LIST ACTIVE TEST ). The shift position commanded by the ECM is shown in the DATA LIST (SHIFT) display on the intelligent tester. 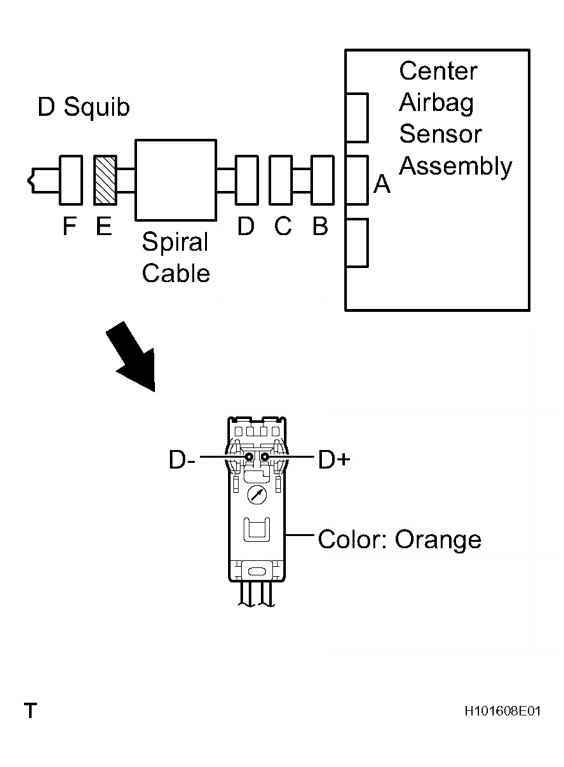 This center airbag sensor assembly is operable using the check mode of the intelligent tester function. Check mode can detect and output DTC by using a intelligent tester to switch the center airbag sensor assembly to the check mode. A simulation method is used, if the malfunction cannot be reproduced during troubleshooting (the malfunction is temporarily solved, etc.). 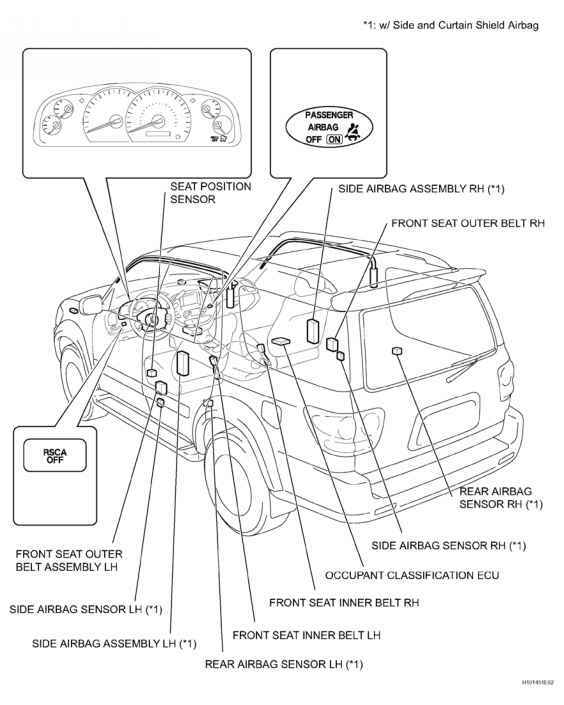 In this case, joggling each connector, or driving on a city or rough road with the center airbag sensor assembly in check mode makes it possible to obtain a more accurate malfunction condition. Clear the DTC (See DTC CHECK CLEAR ). Start the inspection from step 1 when using the intelligent tester and start from step 2 when not using the intelligent tester. a. Connect the intelligent tester to the DLC3. b. Turn the ignition switch to the ON position and push the intelligent tester main switch ON. c. Select ACTIVE TEST mode on the intelligent tester. d. Check ON-OFF function of the VSC buzzer with the intelligent tester. (a) Connect the intelligent tester to the DLC3. (d) Clear the DTCs (See page ES-38). Select the following menu items DIAGNOSIS ENHANCED OBD II DATA LIST MISFIRE CYL 1, 2, 3 and 4. Allow the engine to idle. Drive the vehicle with the MISFIRE RPM and MISFIRE LOAD noted in the READ VALUE USING INTELLIGENT TESTER (MISFIRE RPM AND MISFIRE LOAD) procedures above. 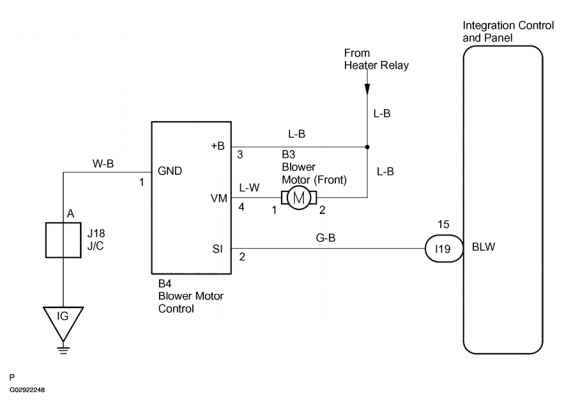 Read the CYL 1 to 4 or DTCs displayed on the tester.